CONGRATULATIONS ON AN EXCELLENT JOB! 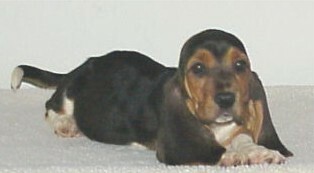 Welcome to my personal web site about my dog! CLICK HERE to hear a song about 'long ears'! My dog, Hushpuppy, is stubborn. She loves to play with me and my brothers. My dog is definetely a family dog. She was given to me as an early Christmas gift on November 28, 1998. She was born on May 25, 1998. I got her when she was 6 months old. My mom was intending on giving me a Dachsund for Christmas but when she saw a dog chewing on a piece of plastic, she immediately told an employee. The employee went to open the door of the cage and then, the dog ran out and literally jumped into my mon's arms. My mom decided to take her home. That is how I got my Hushpuppy. 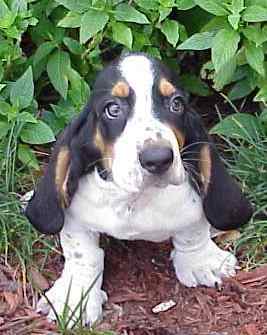 CLICK HERE to hear this Basset howl! My dog could be braindead sometimes. Once, she ran right into a mirror the size of a wall and hurt her head. 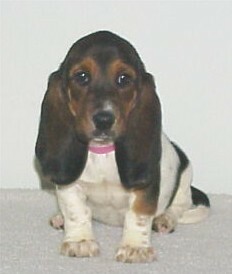 She could act however she wants, but I'll always love my Hushpuppy. My dog is so smart, that she is the C.E.O. 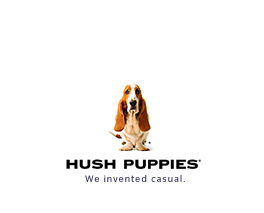 of the "Hushpuppie Shoes" business! - LOL!! !